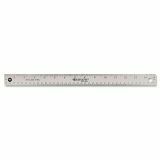 Westcott Stainless Steel Rulers - Ruler is made of the finest quality stainless steel. Ruled in 1/16" on one bevel with 1/32" in the first and last inch and metric on the opposite bevel. 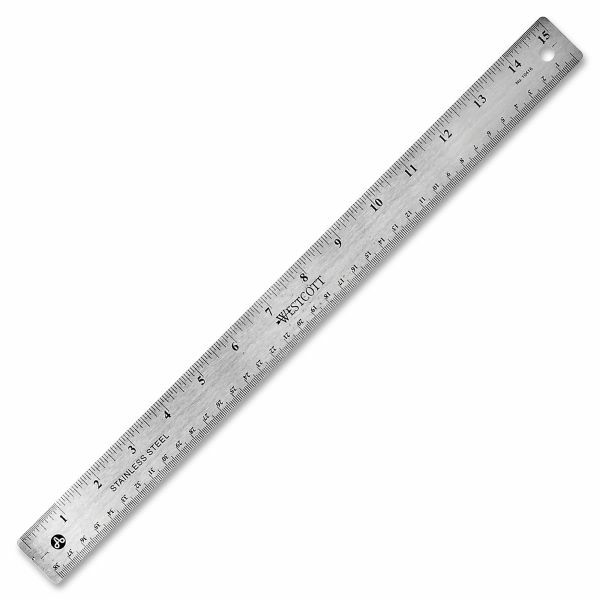 Ruler features nonskid backing.